After time your teeth enamel demineralize. Remineralize and whiten your teeth with Venus White. A great teeth whitening and remineralization system you can use at home. Periodontal disease commonly known as gum disease is more common than you may think. If you’ve been diagnosed, you can rest easy knowing that Dr. Moore has extensive experience with periodontal disease and has successfully treated many patients. 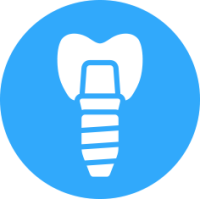 Movement of teeth to achieve functional stability and create your optimal smile as a result! We try to utilize the state of the art technology and move teeth and reshape gums tissue with this reversible procedure. Dental crowns are a secure way to fill gaps and help restore your smile if you have missing or damaged teeth.E.Max, Zirconia, or Gold Dr. Moore offer a wide arrange of crown services to fit your personalized treatment planned. A wide range of handcrafted dental bridges, from budget-friendly options to state-of-the-art zirconium bridges. Dr. Moore will recommend the best option for you. There are two main types of dentures: full and partial. Dr. Moore will help you choose the type of denture that's best for you based on whether some or all of your teeth are going to be replaced. The temporomandibular joint is the joint that connects your jaw to your skull. When this joint is injured or damaged, it can lead to a localized pain disorder called temporomandibular joint (TMJ) syndrome. Dr. Moore will Diagnose and prescribe a treatment plan to help manage pain and discomfort.